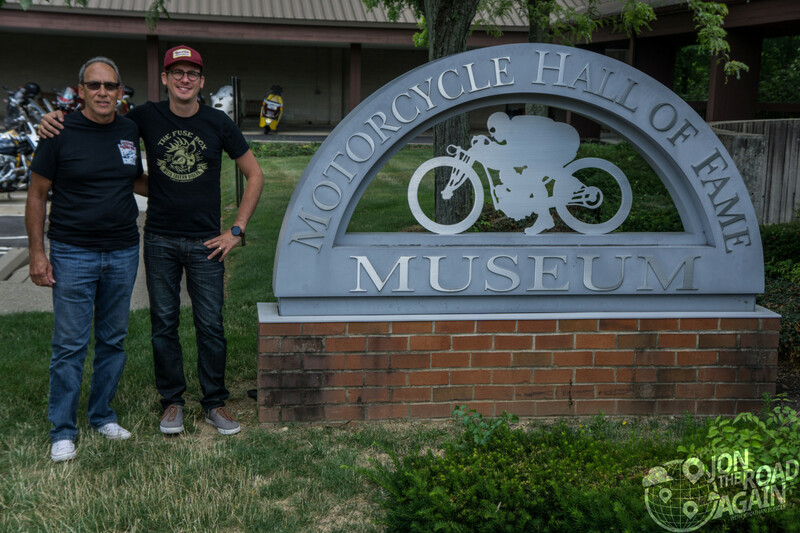 After experiencing the fun that is AMA Vintage Motorcycle Days and the AMA Vintage Flat Track races, I added the nearby AMA Motorcycle Hall of Fame and Museum to our itinerary. 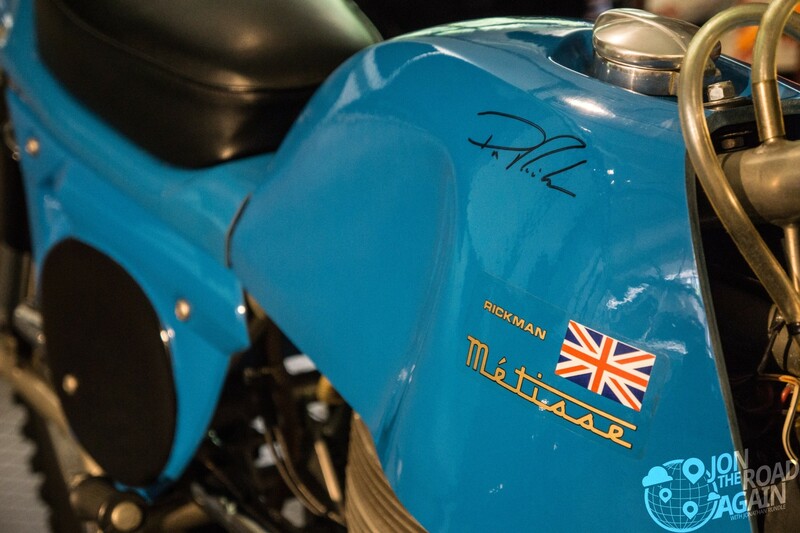 Inside, behold a motorcycle wonderland. 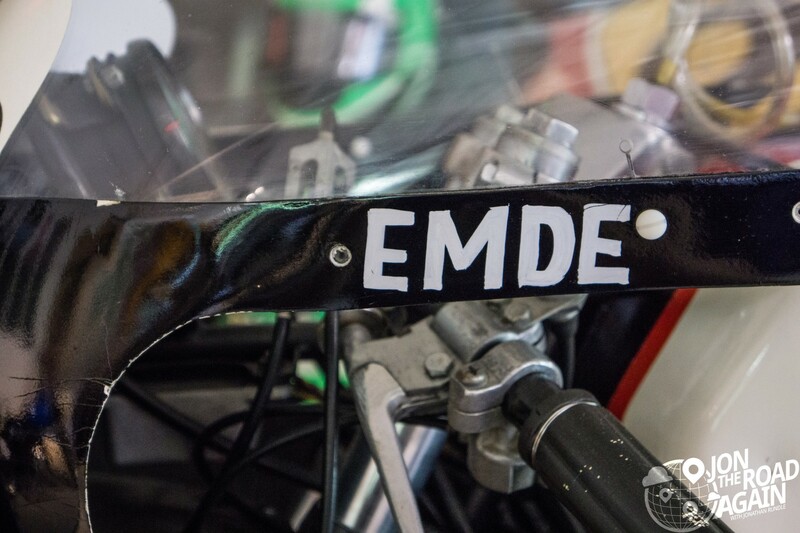 The museum traces the roots of motorcycling from a replica of Gottlieb Daimler’s wooden bike (considered the first ever motorcycle) to today’s marvels made of carbon fiber and aluminum. 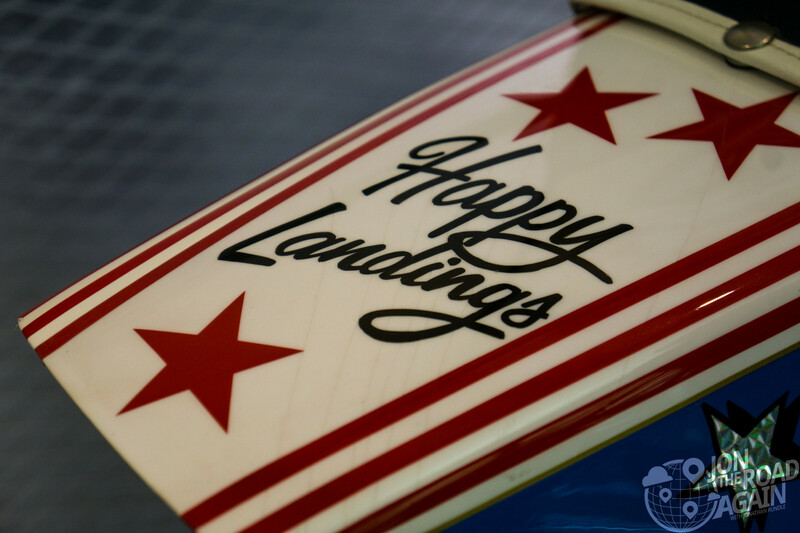 The upper floor is dedicated to racing in all it’s forms. In this room, flat trackers give way to road racing bikes. Next are the hill climbers, world speed record holders, and finally to today’s motocross and enduro. 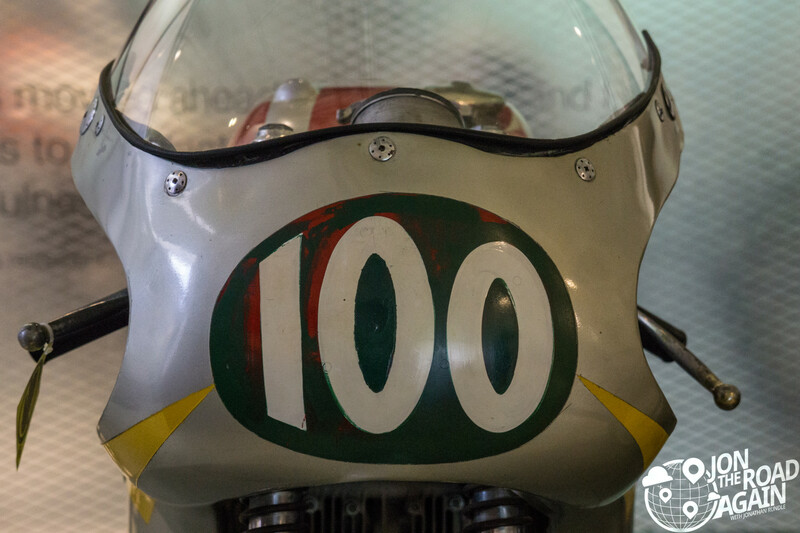 It was fascinating to see the evolution of motorcycle racing in one room. 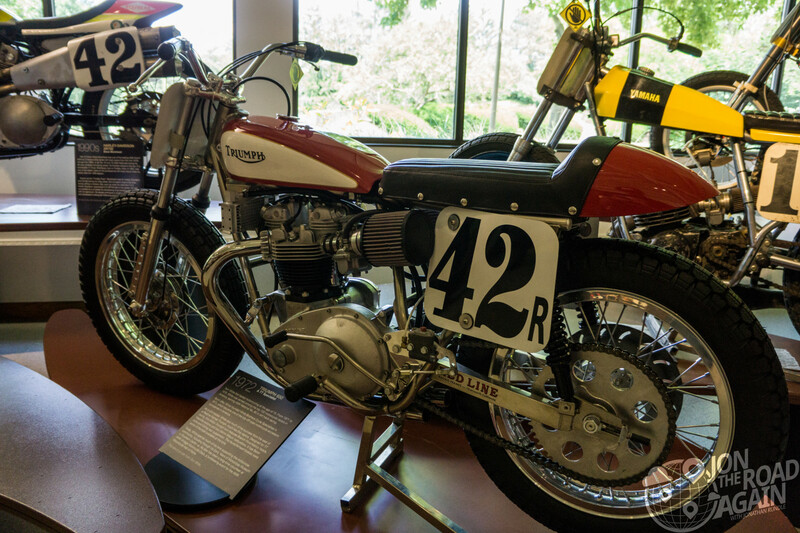 Odd couples like a homemade 1940’s Indian hillclimber and Don Emde’s Daytona 200-winning motorcycle looked at home together. The room continues into a large Rickman Metisse display and on to Penton Jack Pine Specials. The latest bike is a Dakar Rally-winning, Red Bull-sponsored KTM. 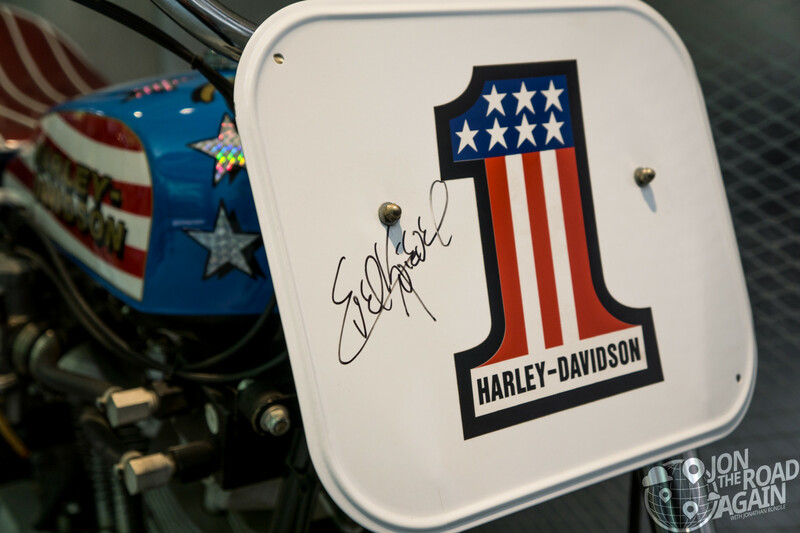 The autographed Evel Knievel Harley Davidson XR-750 is a reall well-done replica. The design honors the one used to jump 13 buses (and break his pelvis and several vertebrae) at Wembley Stadium. 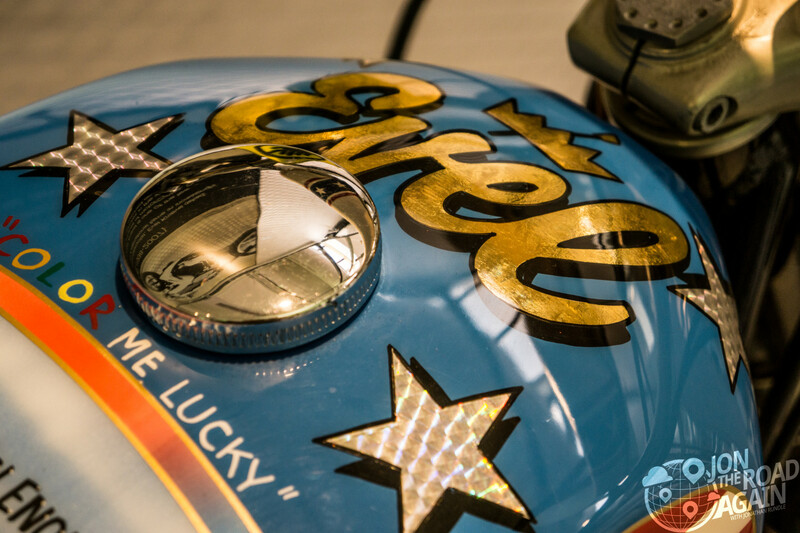 The lower floor show cases many more designs important to motorcycle history. Craig Vetter’s contributions loom large in a number of displays. You can see original sketches for the Windjammer, endurance challenge bikes and the Triumph Hurricane. Originally supposed to launch as a BSA, execs loved it so much they decided to launch via the parent company. 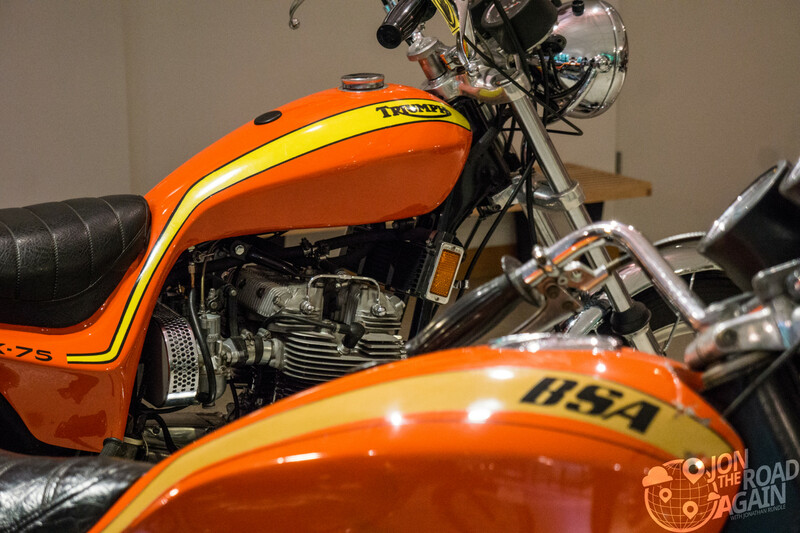 You can see the BSA prototype here and follow the story of how it came to be. 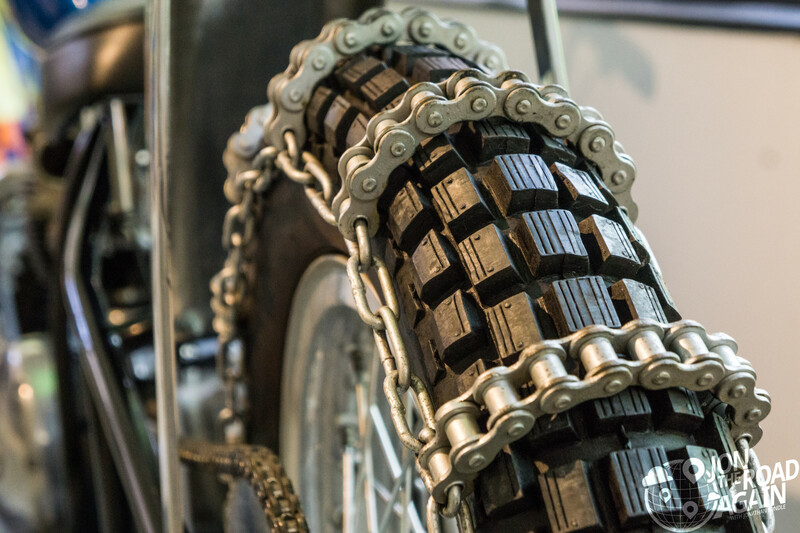 Of course, the AMA exists to promote and protect the right of motorcyclists everywhere. 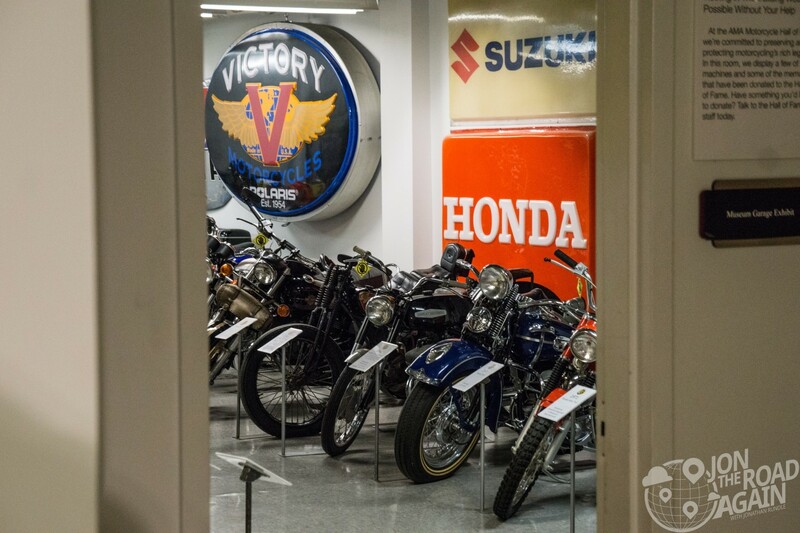 A section of the museum explains how the AMA has worked to prevent legislation that negatively affects motorcycling. The last parts of the museum hold cases and cases of memorabilia – posters, toys, models and more. 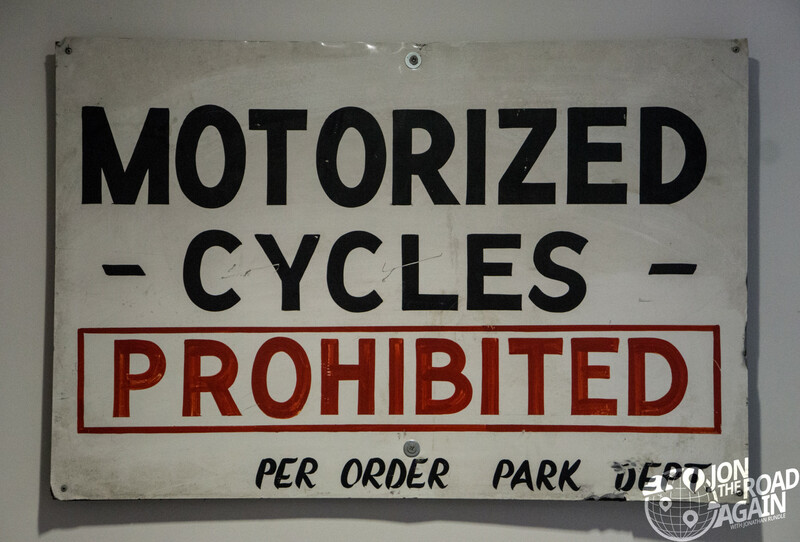 The garage holds all sorts of additional bikes, signs and other moto and gearhead paraphernalia. 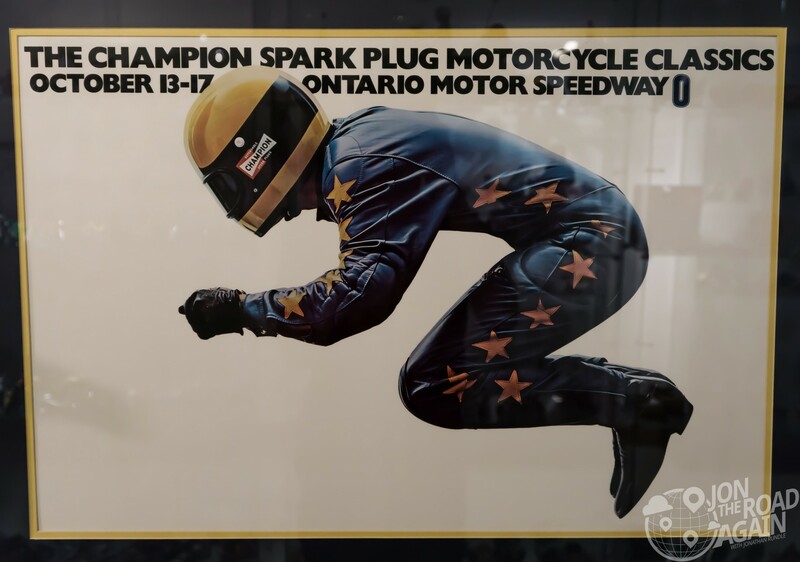 If you’re near Columbus, OH I recommend a trip to the AMA Hall of Fame and Museum. If you’re an AMA member, you get in for free. Otherwise it’s $10 and certtianly worth an hour or two of your time. Visit their website to see operating hours and admission prices.